Besides an aggressive clampdown on Taliban hideouts in Pakistan’s tribal areas, what Ghani wants is for Pakistan to target the Haqqani Network, which is responsible for lethal terrorist attacks in Kabul. Despite some recent Taliban-government informal talks hosted by China in Urumqi and by Norway in Oslo, the ferocity of the summer offensive indicates the Taliban’s lack of seriousness in discussing peace with the Ghani administration. Pakistan has been offered an unprecedented opportunity for peace with its western neighbor. This opportunity will not come again, because failure by Ghani will discourage other Afghan leaders from making future overtures. But structure and strategic constraints will make it extremely hard for a wavering and vacillating Islamabad to deliver on the lofty promises made to Ghani. Islamabad’s capacity to control the Afghan Taliban is highly debatable. Pakistan’s Chief of Army Staff General Raheel Sharif declared that the “enemies of Afghanistan are enemies of Pakistan” during a visit to Kabul in February. And when he visited Kabul in May, Pakistani Prime Minister Nawaz Sharif termed the acts of the Taliban acts of terrorism. But actually following these statements up with action would erode Pakistan’s credibility as a mediator in the eyes of the Taliban. Islamabad cannot change its colonial mindset towards Afghanistan. Gaining “strategic depth” in Afghanistan is organically blended with the anti-India strand of Pakistan’s strategic culture. As obsessive opposition to India is the most convenient tool available for the Pakistani military to use to protect and preserve its privileged position within Pakistan’s politics, society and economy, it would be suicidal for it to allow the essence of Pakistan’s strategic culture to undergo any kind of fundamental shakeup. Many Afghans, including the Pashtuns, view with disfavor the mediation role that Pakistan wants to play in the complex Afghan imbroglio. Pakistan is certainly within its rights to insist that Afghan territory not be used against its national interests, but to claim that it should determine the nature of Afghan policies vis-à-vis India has Kabul worried and irritated. No people have suffered more from Pakistani misadventures than the Afghans. One might perhaps assert that impinging on the rights of the Afghan people is a necessary trade-off for Pakistan to deliver on its peace promises, and that marrying Afghan subservience with Pakistani hegemony is the price for peace in Afghanistan. But are Afghans so desperate for peace that they are willing to surrender their sovereignty? In fact, Kabul has repeatedly made it clear that only it, and not Islamabad, will drive the reconciliation process. Admittedly, in an environment of institutionalized scaremongering of India, the Pakistani security establishment’s cooperation with the Afghan government in bringing about lasting peace quickly runs into irreconcilable strategic pitfalls. One by one, Kabul’s red lines have been crossed. Blinded by a series of trivial tactical coups, Pakistan seems bound to make one erratic move after another: Pakistan’s strategic compulsion to preserve its “strategic assets” will only embolden critics of Ghani’s overtures. The ISI-led “strategic depth” juggernaut has acquired a momentum of its own, and will continue to drive Islamabad’s agenda. 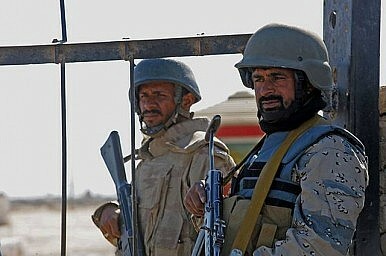 Lack of progress in overthrowing the Kabul government has triggered increasing frustration among many hard-bitten Taliban fighters. Ghani recognizes the ominous signs of these frustrated Taliban fighters pledging their allegiance to the Islamic State, but Pakistan has yet to comprehend the looming threat. Moreover, Pakistan’s apparent refusal to dismantle the carefully created terror infrastructure will complicate the implementation of the China-Pakistan Economic Corridor (CPEC), a lifeline for Pakistan’s economy. China has also agreed to mediate in the Afghan reconciliation process for its own geostrategic reasons, most notably to prevent Islamic militancy from fueling separatism in Xinjiang region; and to protect its economic interests in Afghanistan where it has made huge investments. What about Chinese hopes? As far as Afghanistan is concerned, the wounds have been self inflicted. Far from bringing Afghans together, the one-sided cooperation with Pakistan is driving them apart. If Ghani does not pull Afghanistan back, he will find himself sidelined from the national mainstream. His major problem is selling a product not enough Afghans want to buy. The Afghanistan-Pakistan entente, which rests on a shaky platform of ditching terrorism while keeping the terrorists, is just not capable of permanently detailing India’s geostrategic interests in Afghanistan, and is rather destined to be buried in the mountains of the Hindu Kush sooner rather than later. Asif Ibrahim, India’s newly appointed envoy for West Asia and the Afghanistan-Pakistan region, should dispel any notion that India is losing influence and geopolitical standing in Afghanistan.